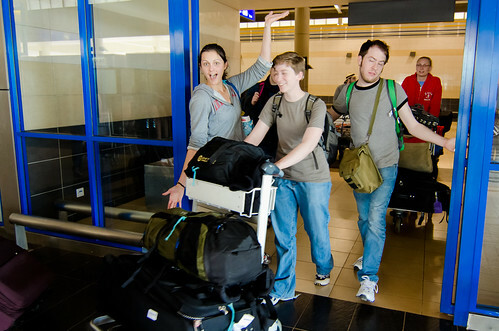 Friday, May 18, 2012 the ACCT International participants arrived in Kenya. Well, actually, some of them arrived the night before and overnighted at the guesthouse of one of our partner organizations, ANAW's Kifaru House. On Friday, they caught a flight from Nairobi to Kisumu (the same one I had vomited on just two days before), and Pam, Cale, and I met them at the airport. We drove the hour to Mumias, fed them a lunch, and sent them all to showers and bed.